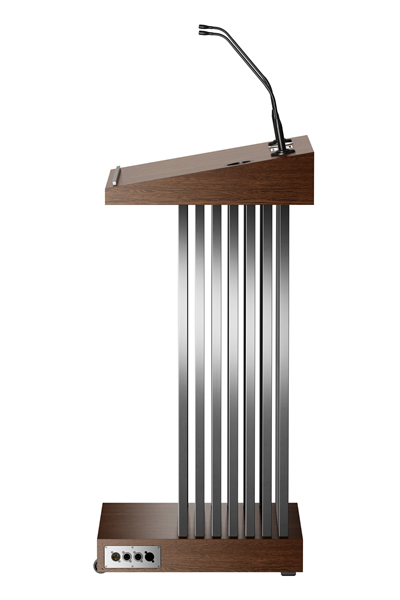 Transay, a modern lectern with a nod to the 30s. 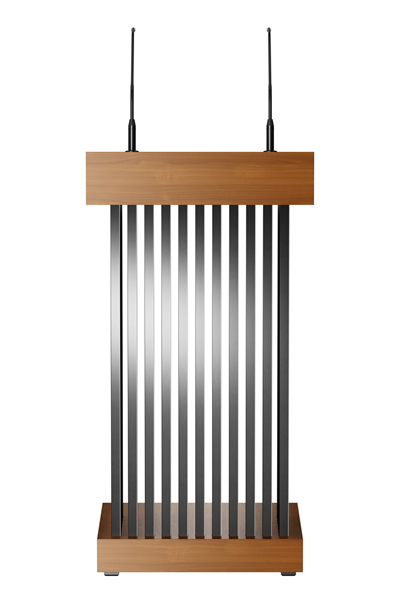 Influences of Art Deco style are bent into the 21st century. 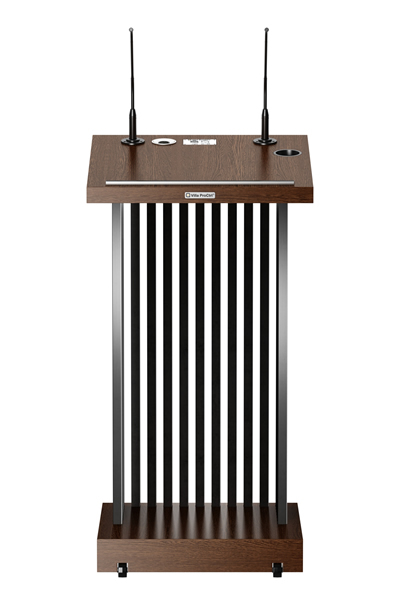 Tight stainless steel cuboids with a base and top in wood design. 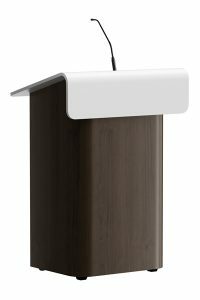 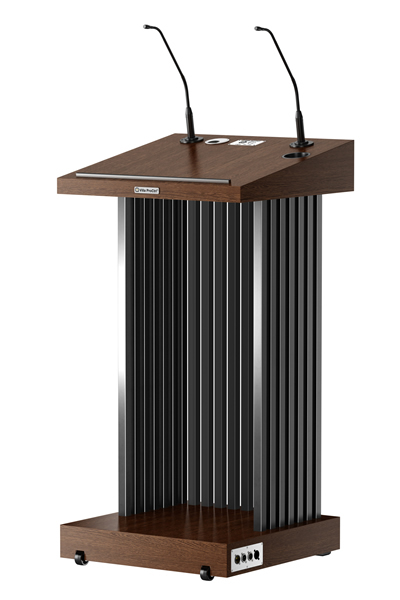 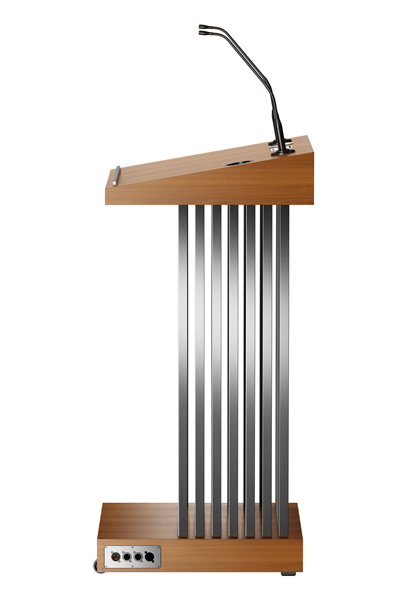 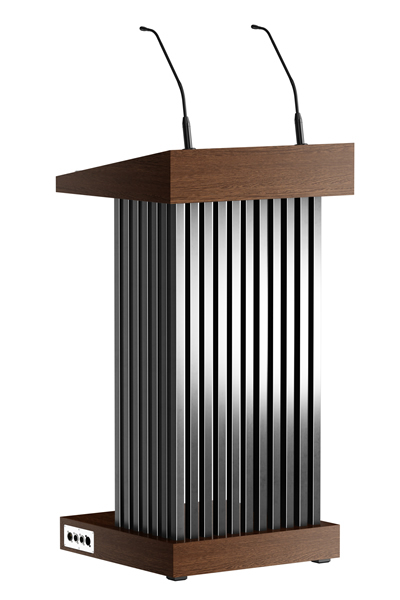 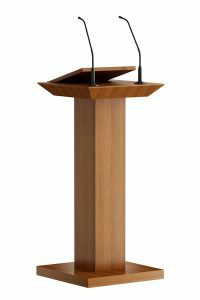 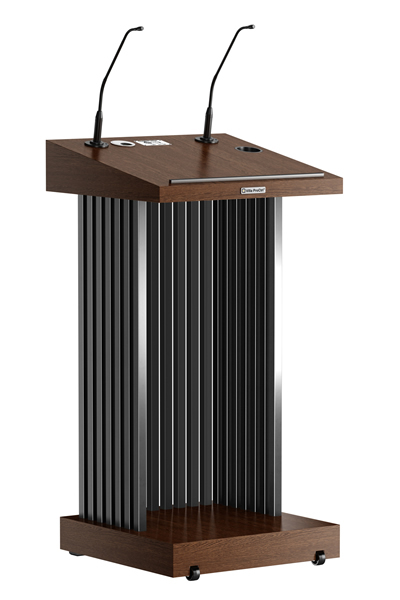 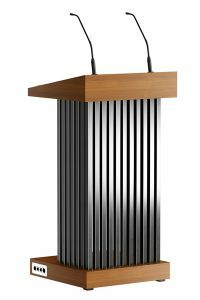 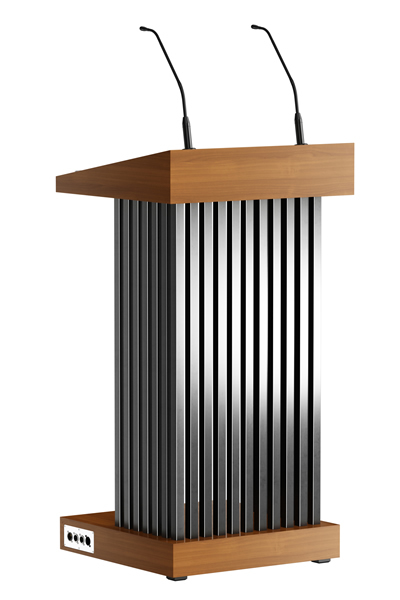 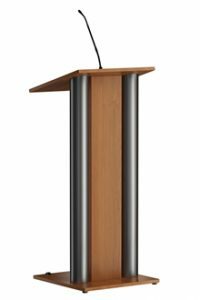 A lectern that gives the speaker allure in many spaces.